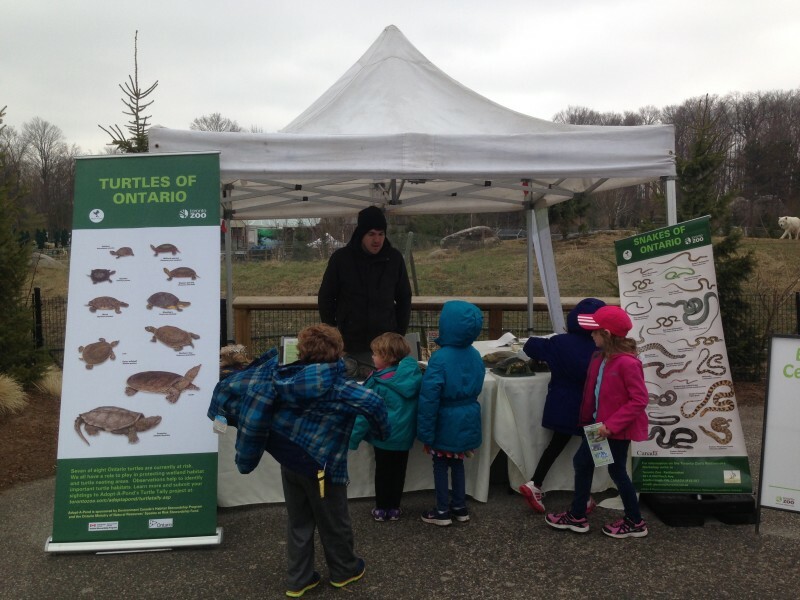 Although Earth Day was earlier this week, you can still get in on the action today and tomorrow at the Toronto Zoo. The kids and I headed out to the zoo early this morning and had a lot of fun checking out the activities. You’ll notice that zoo is selling rain barrels this weekend. The barrels are tanks that store rain water that you can reuse to water your plants and lawn. There is also a farmers market with local farms selling produce and environmentally friendly products. When you enter the zoo, head to the Tundra Trek, home of Humphrey, the world’s most adorable polar bear cub.The circular tundra trek is home to this year’s earth day celebration. Here you will find activities and learning stations for your kids spread amongst the exhibits. 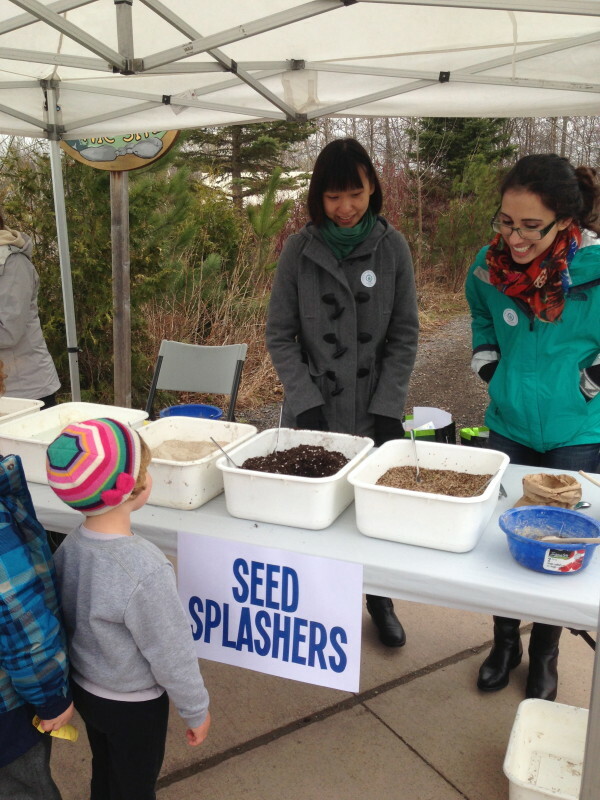 The first station is a seed station where kids can prepare seed splashers to spread around local parks or your yard. The splashers when prepared are little dirt balls containing wild flower seeds. Our kids loved preparing the splashers which was pretty similar to making mud. After that, you will find stations run by the Toronto Zoo’s Adopt-a-Pond and Great Lakes Programs, Earth Day® Canada, Parks Canada and Rouge Park, ZooShare and Polar Bear International. 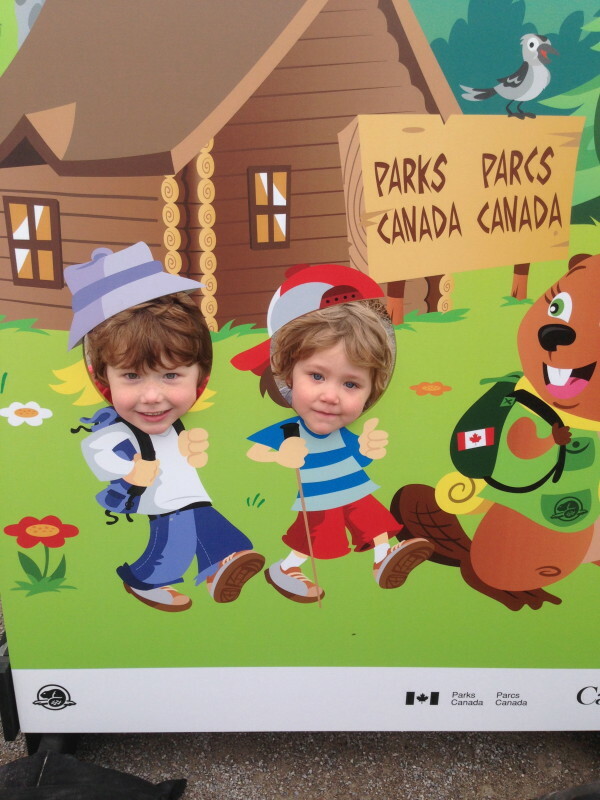 The kids loved the set up by Parks Canada and their free airbrush tattoo station was a big hit with everyone. 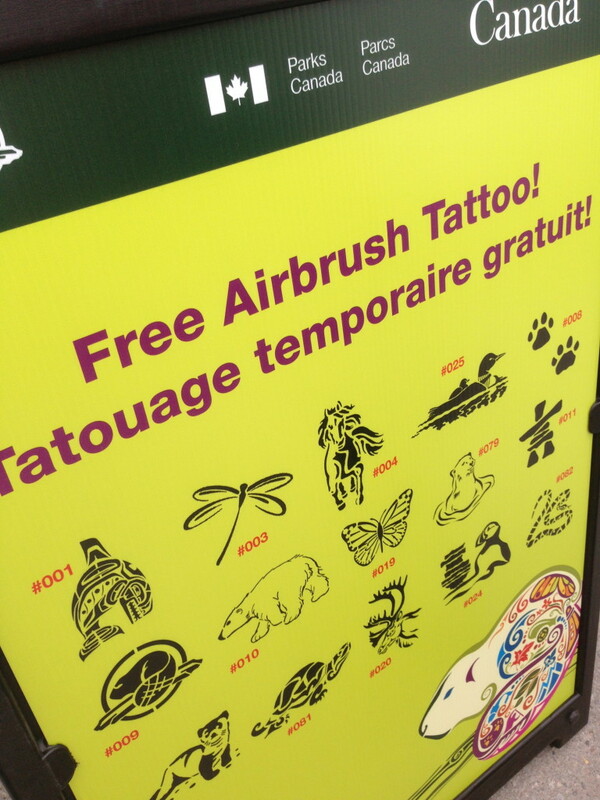 Once kids chose their tattoo, they were given an information card about the animal and different ways to be green in order to help Canadian Wildlife. There is also a lot of information for families about parks you can visit this summer across Ontario and Canada. Don’t miss the Zoo Share station where kids are taught about how the Toronto Zoo and Zoo Share, a biogas cooperative, use poo and turn it into energy. 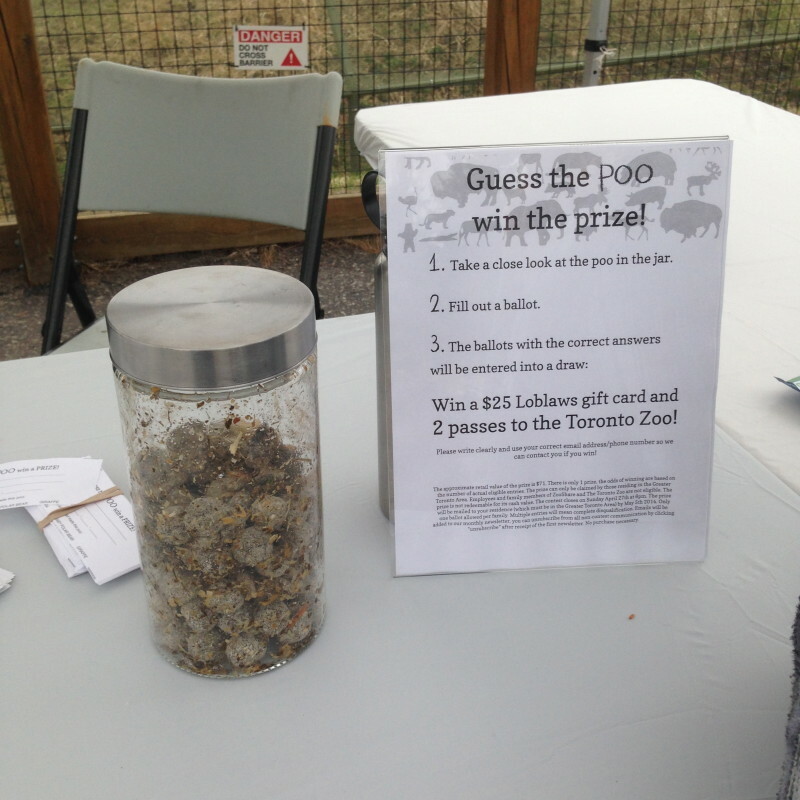 Kids are invited to enter a contest to guess which zoo animal’s poo is in a jar. 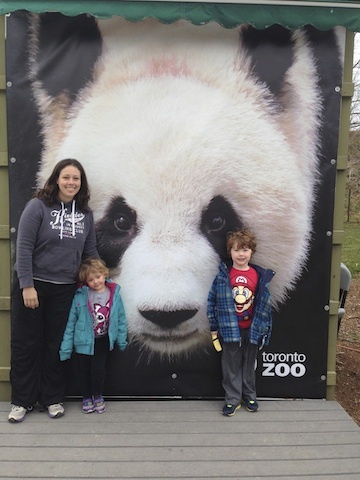 Kids can win tickets to the Zoo as well as $25 gift cards to Loblaw’s. 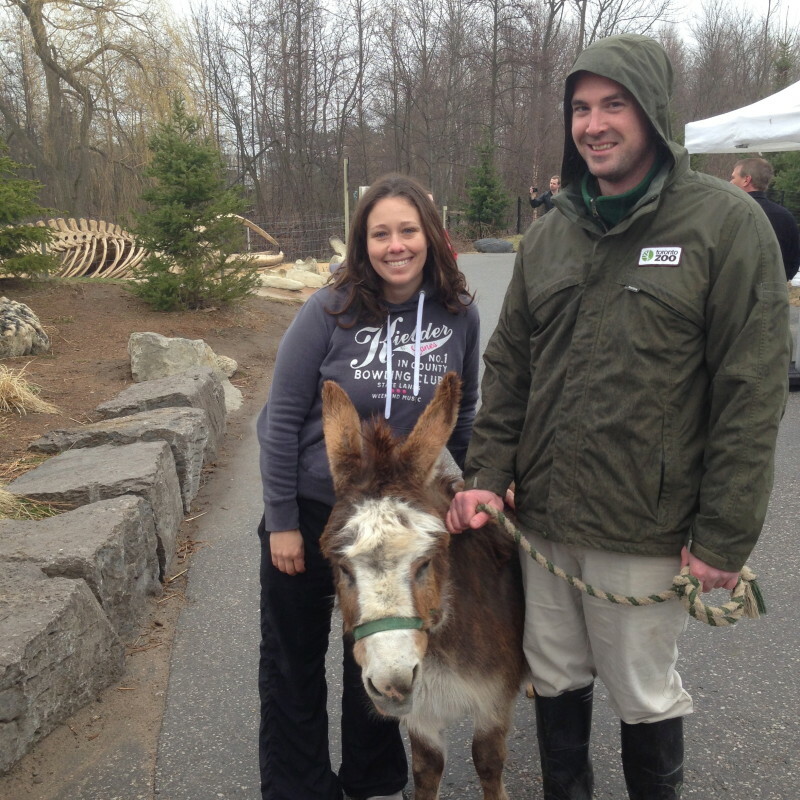 Another special treat today and fairly rare at the Toronto Zoo was the opportunity to get to meet Sterling, the zoo’s mini donkey. Guests were allowed to pet and take pictures with Sterling and one of the zoo keepers. 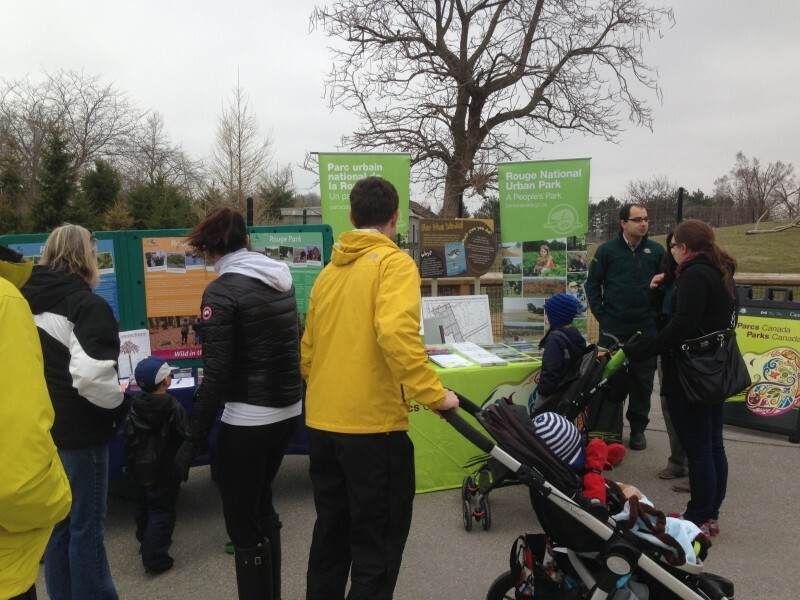 Earth Day at the Toronto Zoo continues today until close and all day tomorrow. The event is free with paid admission to the zoo. Hey there I am so happy I found your weblog, I really found you by error, while I was researching on Google for something else, Nonetheless I am here now and would just like to say kudos for a tremendous post and a all round enjoyable blog (I also love the theme/design), I don’t have time to go through it all at the moment but I have saved it and also included your RSS feeds, so when I have time I will be back to read much more, Please do keep up the superb work.